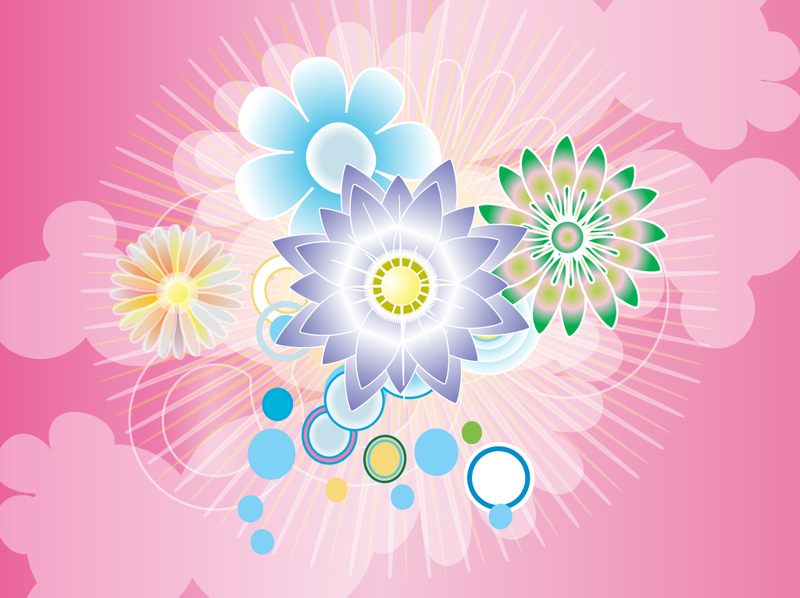 Pink vector background with combined floral shapes, bright flowers, star bursts and colorful retro circles. The graphics are further enhanced by glows and transparency. Free download for spring sale flyers, Easter greeting cards, beautiful desktop wallpapers and floral themed designs. Tags: Dream, Fantasy, Floral Shapes, Flowers, Flyer, Glows, Invitation, Starburst.